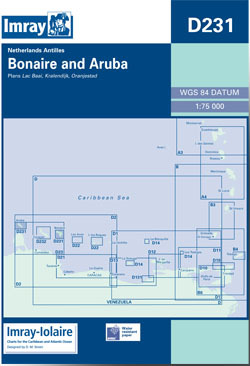 The islands of Aruba and Bonaire in the Netherlands Antilles (Dutch Antilles). Scale: 1 : 75.000. Larger scale plans of Oranjestad (Aruba), and Kralendijk and Lac Baai (Bonaire). Flat chart, water-resistant paper.